Wellbeing in the workplace is an essential element in fostering a worker’s sense of being valued, ensuring their engagement, and ultimately leading to higher levels of productivity and organizational performance. 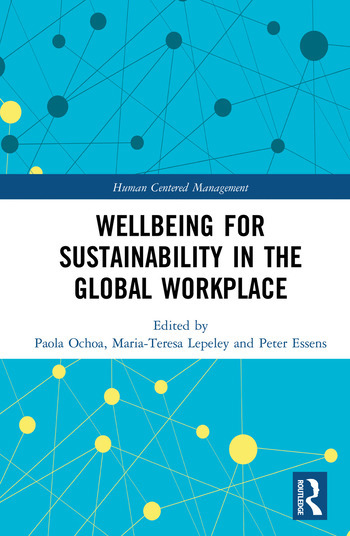 This important book specifically adds to the discussion by taking a global perspective, and evaluates wellbeing in the workplace in different countries, identifying both universal issues and specific cultural issues. Chapter authors have been drawn from across five continents and eleven countries to provide ground-breaking research in wellbeing from different regional perspectives, looking at both developed and developing world scenarios. What is clear throughout the book is that organizations that are not people-centered undermine their capacity to attain and maintain quality standards, high performance, and competitiveness. Organizational concerns about workers' wellbeing are growing exponentially due to the global VUCA (volatile, uncertain, complex, ambiguous) environment. In this environment, organizational success is no longer simply based on short-term revenue maximization, capital investments, or sales, but increasingly depends on people’s wellbeing, human capital, and the development of human talent to ensure sustained and sustainable growth and performance. This book presents a collection of studies that address current and forthcoming organizational challenges and offer realistic solutions to support leaders and managers seeking to balance and value the contribution of people with long-term organizational performance. Paola Ochoa is a Professor at the Graduate School of Management ESPAE, ESPOL, Ecuador. Maria-Teresa Lepeley is the President and CEO at Global Institute for Quality Education. She has been a member of the Board of Examiners of the Baldridge National Quality Awards of the United States and adviser to National Quality Award Programs in Latin America. Peter Essens is the Director of the Center of Expertise HRM & Organizational Behavior, Faculty of Economics and Business, University of Groningen, the Netherlands.